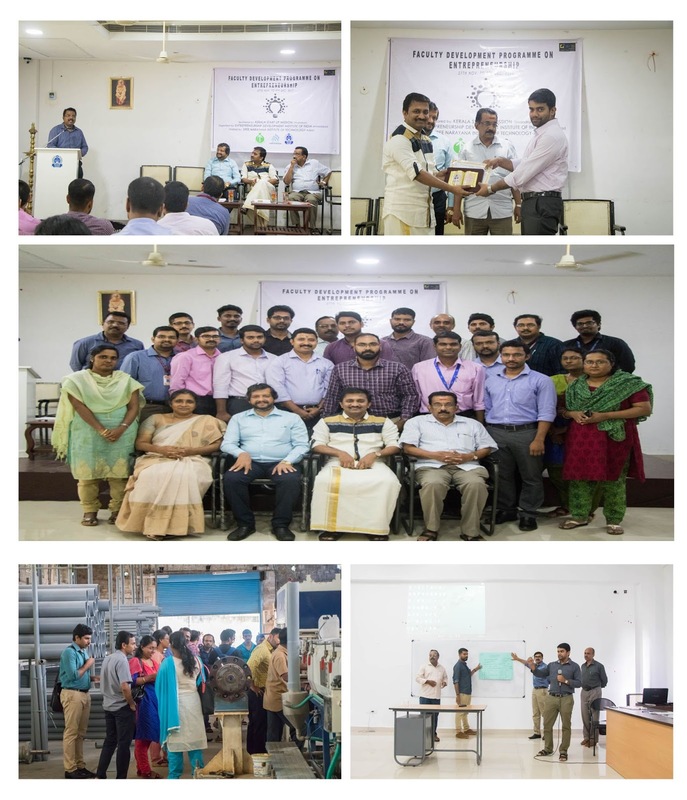 National Level Faculty Development Program on “New Generation Entrepreneurship” held at Sree Narayana Institute of Technology (SNIT), Adoor from 27th Nov to 09th Dec 2017. The program was conducted by the Entrepreneurship Development Institute of India (EDII) and sponsored by Kerala Startup Mission (KSUM). The sessions were headed by Mr Sivan Ambattu of EDII. There were sessions by entrepreneurs, banking officials, finance experts, panchayath/government administrators etc. The Entrepreneurship Development Institute of India (EDII) has been conducting Faculty Development Program for equipping teachers from Technical Institutes to carry out entrepreneurial activities in their educational institutions. The participants had hands on experience with entrepreneurial activities and functioning of TBIs. This will be a stepping stone for IEDCs in the path to New Generation IEDCs & TBIs. The program was a must for applying for grants and incubators.